DALLAS - 3/11/1964: Henry Wade and his team give jurors three doctors who came to the same conclusion about Jack Ruby. Why did a nationally competitive pistol shooter show off his skills in Court? Lee Harvey Oswald's Mother makes a demand from the Dealey Plaza. 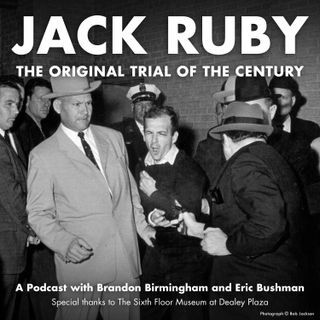 Find out what it is on this podcast, The State of Texas v. Jack Ruby, The Original Trial of the Century.